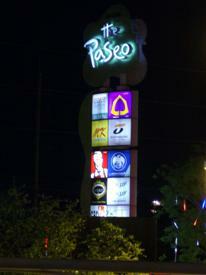 The Paseo Mall is located on the continuation of On Nut road that later becomes Lat Krabang road. 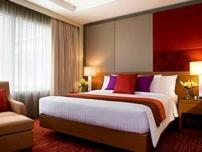 You will find that it is conveniently located close to Bangkok Airport and on the right hand side as you head towards the airport from Bangkok. You can easily get a taxi from the airport to the Paseo Mall or stop here on your way to the airport, if you have some time to kill. 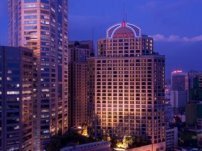 Travellers who are in transit through Bangkok and have chosen to stay in some local accommodation, such as The Ivory Suvarnabhumi or the Regent Suvarnabhumi Hotels will find the Paseo Shopping Mall within a short walking distance. One place I like to visit is the Thai Massage shop on the upper level of Paseo Mall, it is just so relaxing to have a deep tissue massage, either with or without oil. The prices are really reasonable. 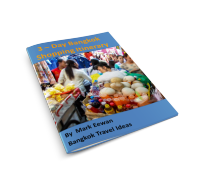 If you have some time to kill during your Bangkok layover, then why not come and visit this modern, but authentic Thai night market, it is just a short walk away from these two Bangkok Airport hotels. Don't expect a massive shopping mall. This is a small up-market shopping centre and restaurant complex specialising mostly in ladies fashion. 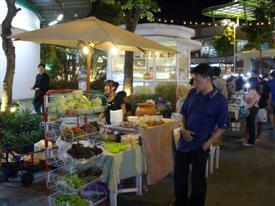 As well as having indoor shops there is also an outdoor night market that is well worth a visit. 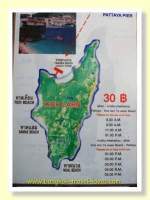 The shopping mall is open from around 10:00 am to late and the night market is open daily, starting at about 4:00 pm. In the late afternoon stallholders come to set up for the night market, unloading all their wares from the back of pickup trucks and small cars and reassembling their market stalls. 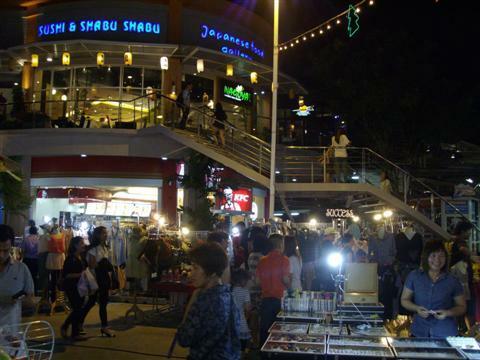 On a balmy Bangkok night there is nothing better than wandering amongst the shops and stalls and looking for that last minute present, or even just having a wander around, taking your time to browse the items on each stall. The stallholders at the Paseo Shopping Mall are extremely friendly, although being this far from the tourist areas you will find that not all of them speak English. But then that is part of the fun isn't it? Negotiating with someone in a foreign language will give your trip that added dimension as you bargain for that little special item or piece of fashion. 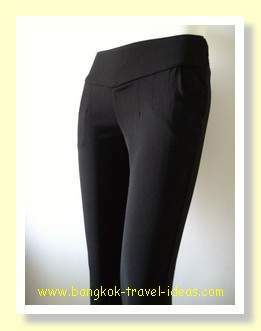 Primarily the Paseo Shopping Mall caters to Thai locals and so they are not selling cushion covers or Buddha images, but more likely, shoes, ladies trousers and fashion items, watches and some fresh vegetables, but this all adds to the Bangkok shopping experience. Ladies fashion wear for work or just the casual look are available now at the Paseo shopping mall. 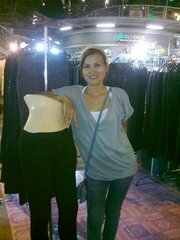 You can see more fashion styles available at the Paseo Mall by clicking here and the fashion style changes all the time. MK Restaurants, McDonald's and KFC are represented if you want some fast food. But there are quite a number of other more traditional Thai restaurants located in the complex and you will be more than welcome if you invite a few of the stallholders for some dinner after they shut up shop. 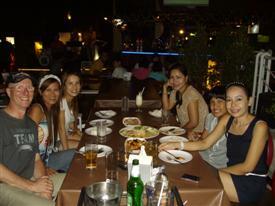 A group dinner with some of the market vendors at the upstairs Thai restaurant. You can read all about my 6 hour layover at Bangkok Airport and how I escaped for lunch and went to this restaurant for Valentines day, when I was in transit at Bangkok Airport.